I hope you have all had as good of a weekend as I have. I really screwed up my weekend last week and ate more than I should have and didn't workout like I should have. I wanted to make sure that I didn't have the same problem this weekend and I think I was successful. I had a huge day Saturday...it started with a run. I was hoping for my long run on Saturday morning but I slept and fooled around for too long and ran later than I meant to. It was too hot by the time I got to my run to go the distance I wanted to but I was able to run a little faster than normal. I am not really all that focused on time but I figured I should go for speed since distance wasnt going to happen in the heat. My run was great. Just shortly after my run it was time for Zumba. I just love Zumba and even though I was worn out it was a great workout. I came home and unfortunately had to work outside and finished mowing my yard and weed the flower bed. I was miserably hot but it is always so nice to get something finished and not just halfway done. After that I got to the fun stuff. I have been debating with the idea of getting fitted for shoes and finally decided that I needed to since I have been running more and more. I have to take care of these feet. So I went to Huntsville and visited Fleet Feet. This was a wonderful experience overall. They were pretty crowded but I felt like I was the only customer in the store. I ran on the treadmill and discovered that I am a pronater (I think that's the right word) and the girl that helped me went and picked out the right shoes for me as well as inserts for the shoes to keep my feet straight. She told me this would help with any foot pain that I was having. I wish I could remember her name but my little helper person was great. I never even mentioned any foot pain...I really didn't relate my foot pain to the shoes. I really thought that I had a stress fracture in my right foot for a few months now. I hope the shoes correct the pain and no more foot problems. I guess if it doesn't stop hurting then I will finally go to the doctor. Ill keep you guys updated on my new footwear! Today I have worked in my house most of the day....actually I worked in the yard just a little bit...the heat again. I had to clean this mess I like to call a house. Vacuum the floors, dust, all those things that you should do on a regular basis and I just let it get away from me. I have worked in about 20 minute spurts because I break into a complete sweat after that time. I'm looking forward to hearing how my contestants weight loss has gone this week. I have some that have struggled (birthday week), some that have been on vacation, and some that have lost. I just love to see the results come in. I haven't weighed since about Thursday morning and I am hoping my number is down from then. My week has gone really well so I am hoping the scales reflect that. Good luck to you all trying so hard out there to shed a few. Check out tomorrow for the results. The right pair of shoes certainly makes a difference. We have a fleet Feet here in Utah, love them as well. I like your blog! I am not certain how I happened on to it. But quietly have been fallowing you for a short time. Jen I am happy that you are following along. 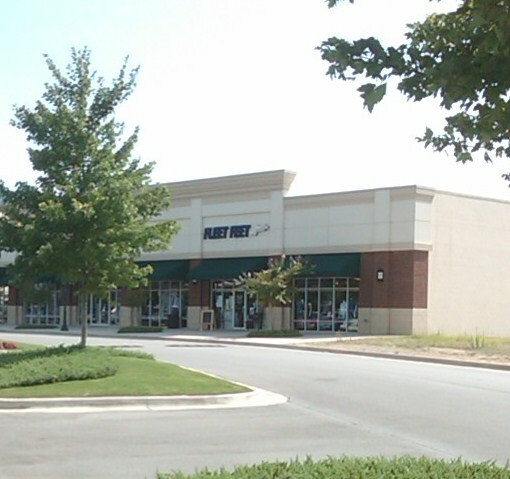 I loved Fleet Feet and cant wait to shop there again.